After Paan Singh Tomar, Bhaag Milkha Bhaag and Mary Kom, the latest addition to the list of biopics on sportspersons in Bollywood is Duronto. Joining the league of directors who have experimented with this genre is debutant Odia filmmaker Soumendra Padhi, whose subject for Duronto is Budhia Singh, the world’s youngest marathon runner. Budhia made headlines in 2006, when at the age of four he ran from Bhubaneswar to Puri, a distance of 65 km, in just seven hours and two minutes. As a filmmaker, the story of Budhia and his coach late Biranchi Das fascinated Padhi. “It is a fable, a miracle of some kind how Budhia and Biranchi achieved incredible heights when they were together. I think no other sport in recent times has generated as much drama, entertainment and political intrigue as Budhia’s marathons,” he says. Born in a poor family in Odisha, Budhia was sold to a person by his mother for `800 in 2004. He then met Judo coach Biranchi, who also owned an orphanage. As punishment for bullying an inmate, Budhia was once asked by Biranchi to run. While Biranchi forgot about the punishment, four hours later he found the little boy still running and that is how the former began training Budhia for marathons. When Budhia and Biranchi hogged the limelight for the Bhubaneswar-Puri feat, a section of people accused the latter of exploiting the boy. He lost Budhia’s custody in 2006 and two years later, Biranchi was shot dead in front of his judo training school in Bhubaneswar by a gangster, Raja Acharya. Aptly named Duronto (the super-fast train without stopovers), the film has child actor Mayur essaying Budhia’s role, while Manoj Bajpai plays Biranchi, and Tillotama Shome the boy’s mother, Sukanti Singh. The film, Padhi says, deals with the phase of Budhia’s life when he met his coach, his rise from rags to riches and the subsequent downfall. Before shooting, the Duronto team spent a lot of time with Gita Panda, wife of late Biranchi, journalist Sampad Mohapatra, lawyers and many others who were associated with Budhia and his coach. “We were in constant touch with Budhia before and during the shooting although he does not remember most of the things now. The research material mostly came from people associated with him. Since I had spent considerable amount of my time in Odisha during college days, it helped us a lot in identifying locations and reaching out to the right people,” says Padhi. Apart from Bajpai, cast of the film is a combination of experienced and fresh faces from theatre. Padhi hired local actors from Odisha and Kolkata to give an authentic look to the film. It has been shot in Odisha, Delhi, Mumbai and Pune. “Many times we had to stop shooting, particularly in Bhubaneswar, because of the crowd’s curiosity. People probably thought Budhia is back to running on the streets,” Padhi laughs. Apart from showing the story of a boy whose talent got lost in the maze of ambition and greed, Padhi claims Duronto will perhaps be the first film that shows Odisha in mainstream cinema. The film is likely to be released this year, and the director plans to take it to international platforms before it hits the theatres. On how different his biopic will be from the rest, Padhi says, “We have tried to keep the story as authentic as possible by casting real faces and shooting in real locations.” He worked for a software firm in Hyderabad before entering the film industry. 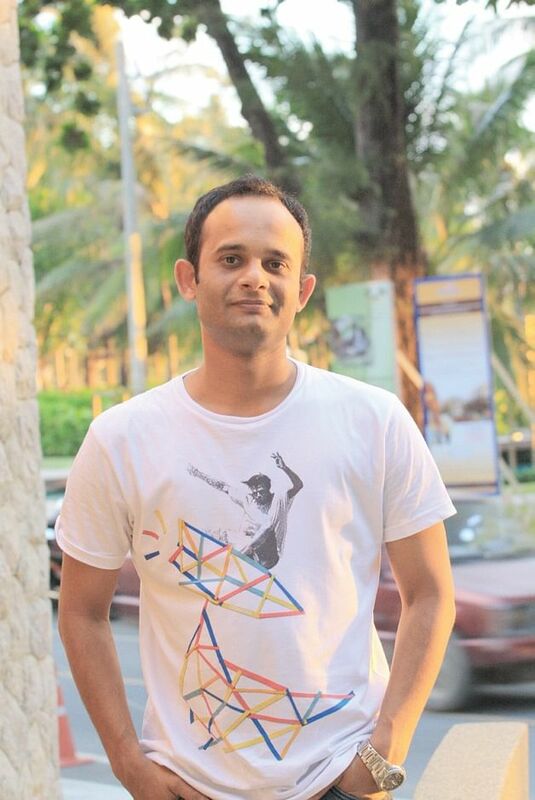 He moved to Mumbai in 2006 to do his basics in filmmaking and animation. Thereafter, he joined Code Red Films as an assistant director and simultaneously used to direct short films, documentaries and music videos. It was during this period that he started writing the script of Duronto, which is being produced by Code Red Films. While Budhia, who is currently studying in the Sports Hostel at Bhubaneswar, is happy about a film on him, Padhi believes that if the former is provided the right training, he would be India’s best bet in future Olympics. “I hope my film would help in opening the eyes of the government on this bright talent who still wants to run,” Padhi says.